Looking For Free Legal Aid Because You Think You Can't Afford An Accident Lawyer? Injury victims frequently find themselves in dire financial circumstances (can't work, large medical bills, etc) and they don’t have money to pay a lawyer to help them with their accident claim. When trying to find legal help many people are confused between pro bono attorney and contingency fee lawyer. Free consultations and 'we don't get paid unless you get paid' statements often add to the confusion. How Is A Pro Bono Lawyer Different From A Contingency Fee Attorney? 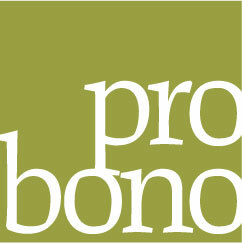 Pro bono means legal work undertaken without charge, typically for a low-income client. Pro bono services are completely free of charge and are typically provided on a volunteer basis as a public service activity. Personal injury attorneys work on a contingency basis. Personal injury lawyers generally agree to take a percentage of what they recover for the client, instead of billing by the hour. When you hire an attorney on a contingency fee basis there are no up-front fees and you do not owe anything until the case is successfully resolved. What Does 'Free Consultation' Really Mean? The award-winning legal team at Davis Law Group are dedicated to achieving the best possible result for each and every one of our clients. If you or a loved one has been injured in an accident, it may be in your best interest to consult with an experienced attorney. ?How do I know if I need a lawyer for a car accident claim? ?Is Driving With A Pet On Your Lap 'Distracted Driving'? ?What Are WSDOT's Rules For Semi-Truck Licensing?